John Keith, husband, father, dear friend, activist, photojournalist, computer engineer, died peacefully at home surrounded by his family on Thursday, December 21, 3am, 2017. In his honor, John’s family invites you to join them in supporting a project that combines his founding principles — the “John Keith Solar Future Fund,” which will bring solar energy to the Resource Center for Nonviolence, an organization he supported for over 40 years (tinyurl.com/RCNVSolar or 612 Ocean Street Santa Cruz, CA 95060). Next spring we will celebrate our guy John when the Center’s photovoltaic system is installed and dedicated. We also welcome any stories or memories you have to share at JohnMcDanielKeith@gmail.com. See a tribute to John’s life/obituary, and read the letter below. Thank you for your support. USE this Paypal Button to donate to the John Keith Solar Future Fund. Donations are tax-deductible. Thank you! I first met John Keith 40 years ago at the Resource Center for Nonviolence in a People for a Nuclear Free Future meeting. PNFF fought the Diablo Canyon nuclear power plant and John was on the Alternative Energy committee. 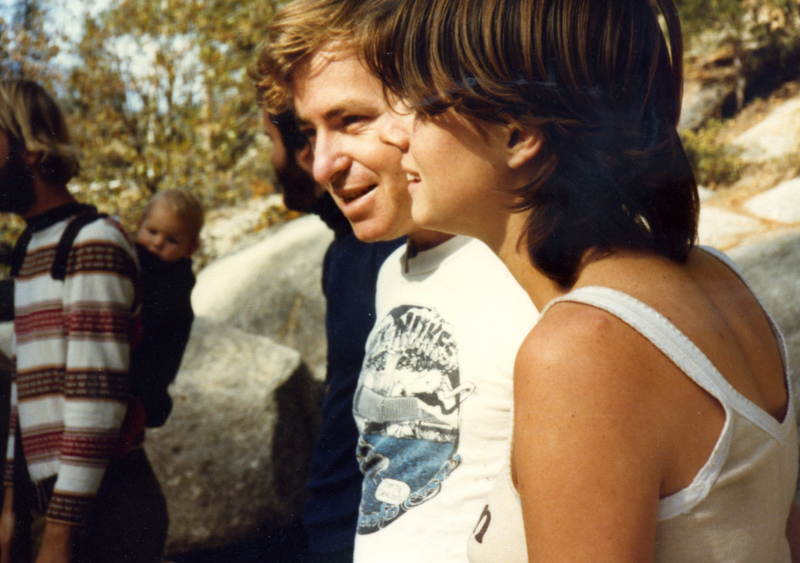 Within a year, John and I were together, eventually marrying and raising our two children. Perhaps you knew him. John was the smartest person I knew, a Renaissance man capable of so many things. He designed and built a solar hot water system for a friend and the office windows in the first RCNV building on Broadway. By profession he transitioned from photojournalism to computer engineering, while he continued to ponder better answers to our need for fossil fuels. We became the first in our neighborhood to get an electric car— a little GEM flatbed truck that topped out at 25 mph— and first to install a solar photovoltaic electric system linked into the power grid. Always curious, John discerned that the weak link in our solar PV system was that the inverter was only passively cooled. So he designed a circuit board and created a plastic molding set up to make an active cooling system for these inverters. He got as far as designing a logo for “Reli-Cool” and getting the 50 boards printed when life intervened. For 40 years, John and I have been supporters of the Resource Center for Nonviolence and its mission for a just and peaceful world. I am so glad the new remodeled building will meet the needs of the staff and the community into the future. John’s walnut desk graces one of the beautiful and accessible offices. It is the perfect hub for the activism we need now. At the grand opening, I learned from Jane Weed Pomerantz that the only thing left to do is install solar panels, which got me thinking. What would John Keith do? He would want the sun to power the work of the Resource Center! But eight years ago, John was diagnosed with early onset dementia, and he died on December 21, 2017. In his honor, our children, Kaitlin and Dean, and I are creating a matching grant of $10,000 to get those photovoltaic panels up on the RCNV roof. Can you help us? Thank you for honoring our guy, John Keith, and the important work of the Resource Center for Nonviolence. Will you help the sun shine in? All contributions are tax deductible and will go twice as far. Our goal is completely to fund and install the system by spring of 2018 when we will gather together to honor John and all who work for a better world. Please make as bright and large a gift as you can to the John Keith Solar Future Fund. 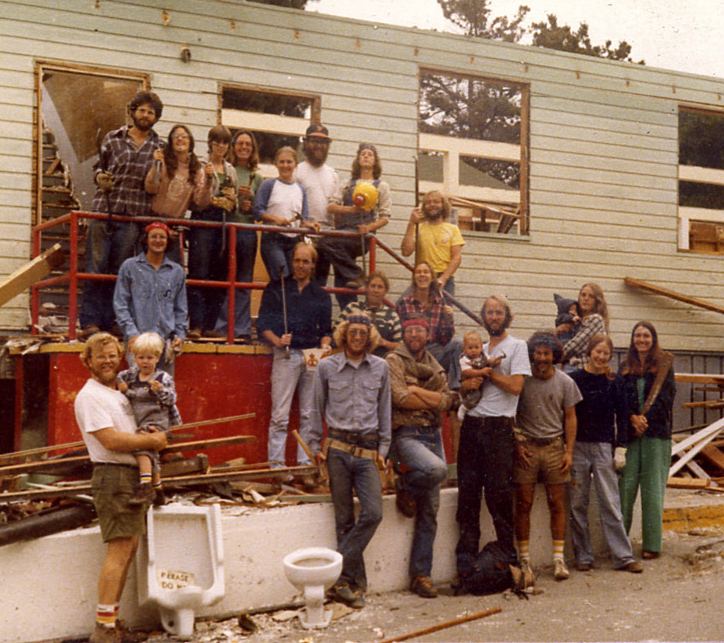 John and Kimlin worked on dismantling a Ft. Ord barracks in 1979 that was transformed into the RCNV building on Broadway. John, with beard, just below the sign. Bangor, Washington 1978. Posted in Justice, Nonviolence, Peace and tagged alternative energy, Diablo Canyon, John Keith, Justice, peace, photovoltaic, Solar.